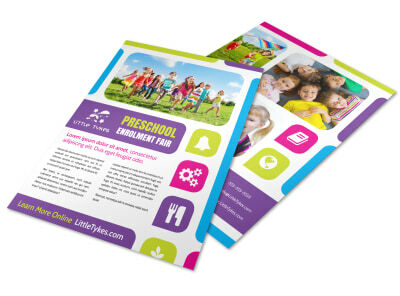 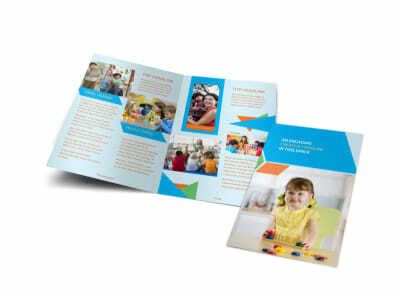 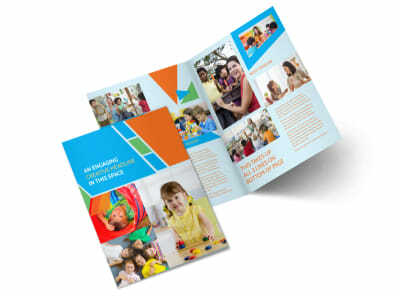 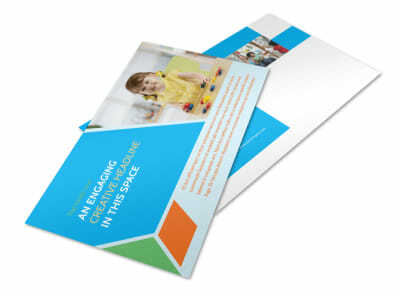 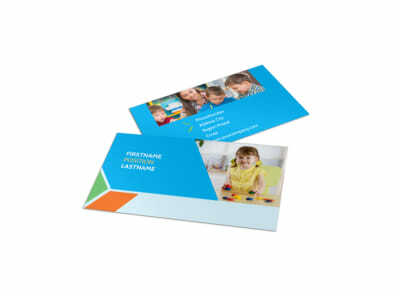 Customize our Fun Preschool Flyer Template and more! 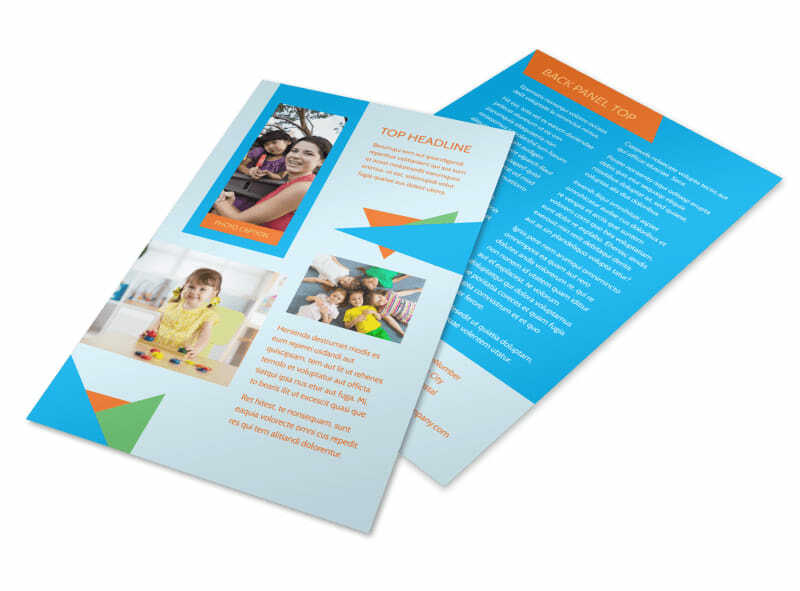 Let parents know that a home away from home awaits their young children with fun preschool flyers describing your childcare services. 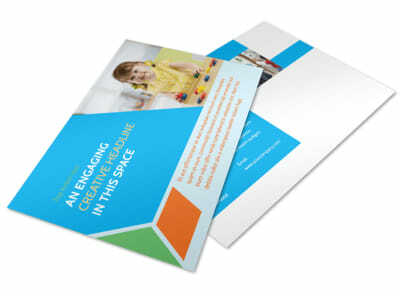 Use our online editor and your choice of template to get your message out to your target market. 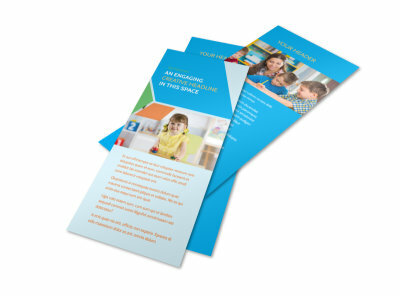 Use custom text to describe your credentials and background, give info on rates and enrollment requirements, and more. 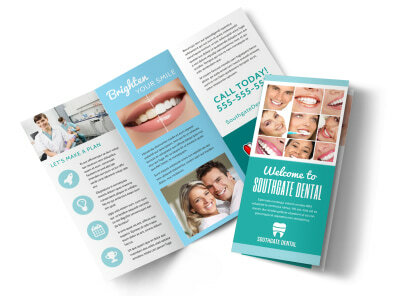 We can print your flyers using premium materials, or you can opt for instant printing to get moms and dads in the loop faster.